Whether it's a leaking tap or a complete bathroom or kitchen renovation, we have the experience and expertise. More. Blocked Drain? We can fix it fast using our CCTV camera and pipe locators for inspections and water jetter to clear the blockage. More. We can install or repair any gas, solar or electric hot water system. For reliable hot water, call us today. More. For a full range of gas fitting services - including LPG and Natural Gas installations and repairs, call our expert team. More. President Plumbing has been the plumber the Hills District has been relying on for more than 10 years for all emergency plumbing, hot water, drainage and gas fitting needs. We are proud of our customer service and we make sure we arrive at your home or office when we say we will. In fact we guarantee it! We will take $2 off our service call for every minute that we’re late. Owner Chris Zubrycki is a vastly experienced plumber who lives and operates his business in the Hills District. Chris has built a team of top quality tradesmen who can be trusted to tackle any emergency or project - from a simple leaking tap to complete bathroom renovations and new homes. Even though Chris and his fully qualified plumbers are based in the Hills District, they service the entire North Western region of Sydney. Having a team of tradesmen means we can allocate a plumber quickly to see to your emergency or repair. More. 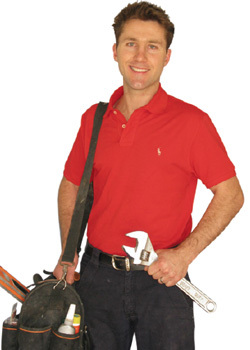 For the plumber in the Hills District you can trust, call Chris today on 0404 380 380.